I’m following on slightly accidentally from yesterday with another black and white looking product. Yesterday it was the Limited Edition Black and White Lion bar, this time it is in the form of dark Oreos coated in white chocolate. Now I’ll be honest I’ve had dipped Oreos before but it was more than five years ago, and so I think this still counts as a Foodstuff Find, particularly as I’ve been looking for another box for all that time! Spoiler alert, I’ve already added another two boxes of these bad boys to next weeks grocery order. 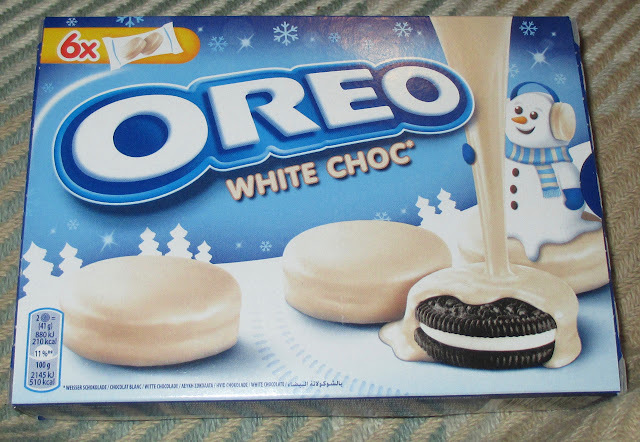 So these White Chocolate Oreos appeared under the new products listing on the Morrisons website, and the snowman on the pack leads me to believe these are just a Christmas special. There wasn't a milk chocolate version available, just the white chocolate. They are in sealed packs of two, which make them perfect for lunch boxes and it keeps the others fresh if you are having a couple of them for treats. The white chocolate on the Oreo was nice and thick and the mix of texture from chocolate to biscuit to filling stuff was a joy to munch on. 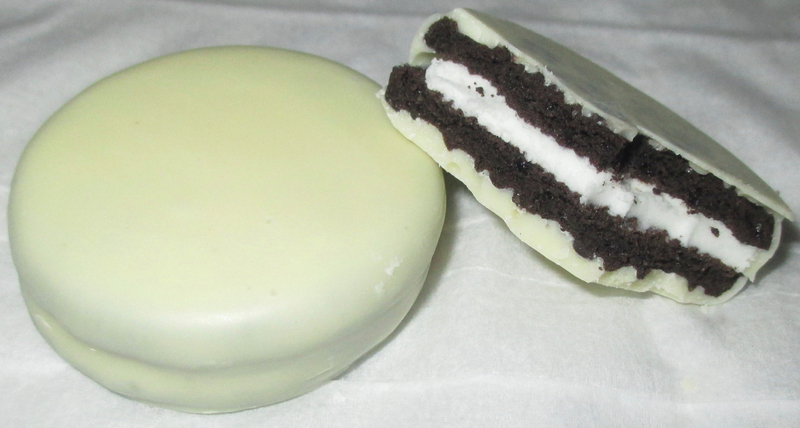 I do like Oreos but the addition of the sweet creamy white chocolate just makes these biscuit perfection. I have a sweet tooth and loved the extra sweetness, and the mix of flavours and textures. Sure they are quite rich, but balance them out with a cup of coffee and just let those sweet flavours sweep over the palette. Did I mention I was stocking up? I really wish these were a permanent edition to the Oreo range, they are by far my favourite Oreo edition.